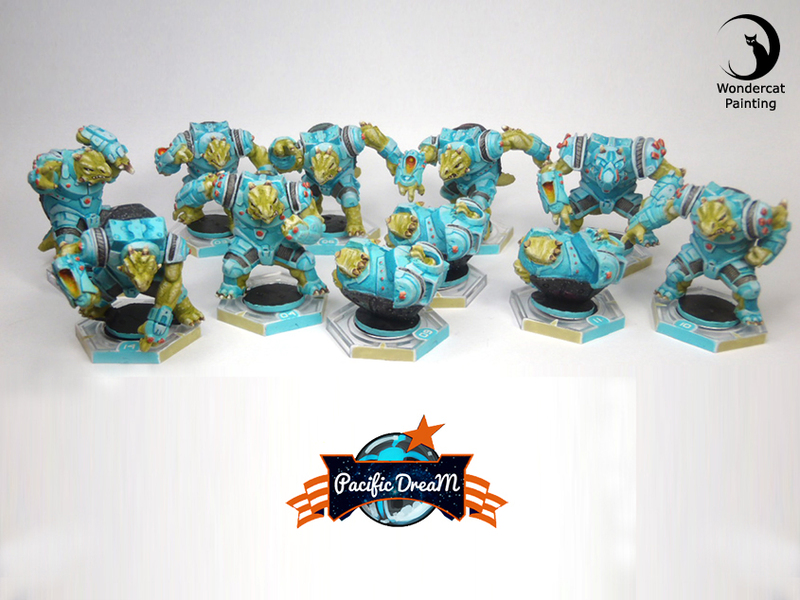 After a small break from it, we finally laid our brushes on some of the Dreadball Season 3 Teams – we only painted stuff from Season 1 & 2 so far. 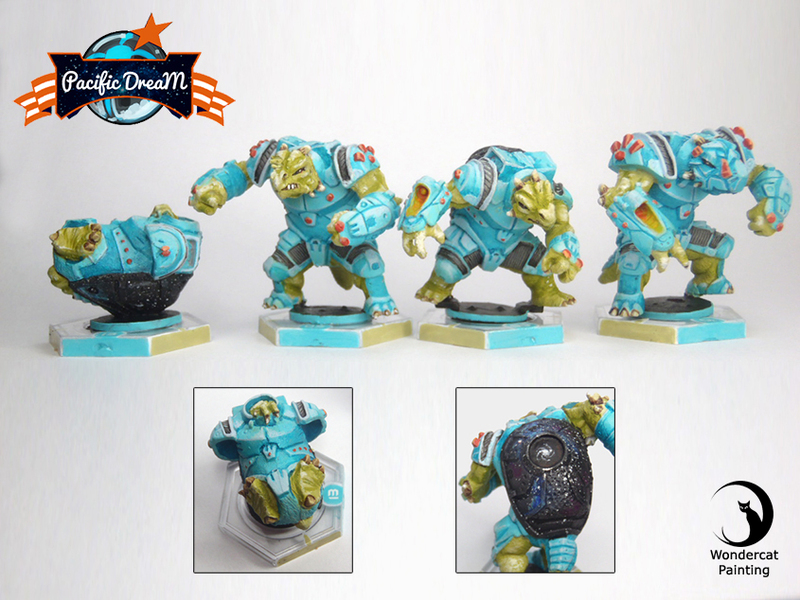 Teratons all have a wide, empty shell on their back that was really begging for something making it special. Being sci-fi and all, we painted a view of space itself. 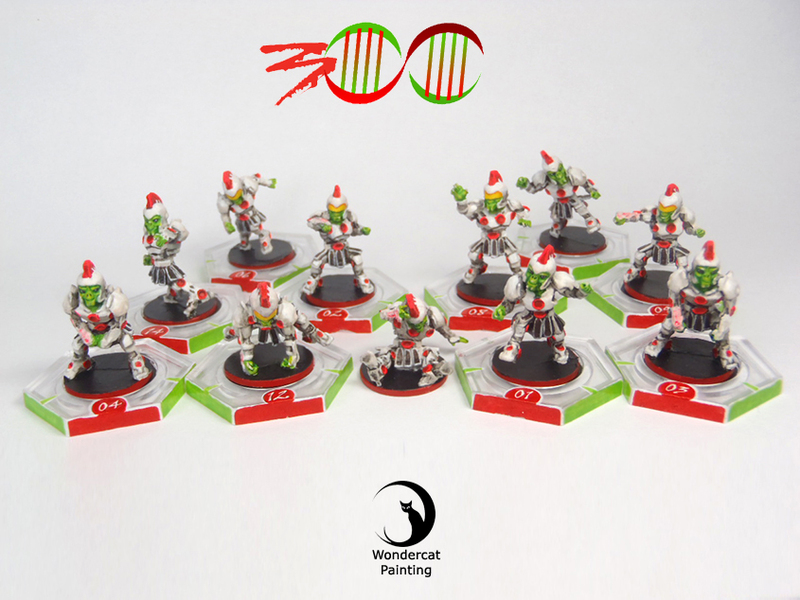 The Zees were the occasion to try some fluorescent paint, with very vivid red. 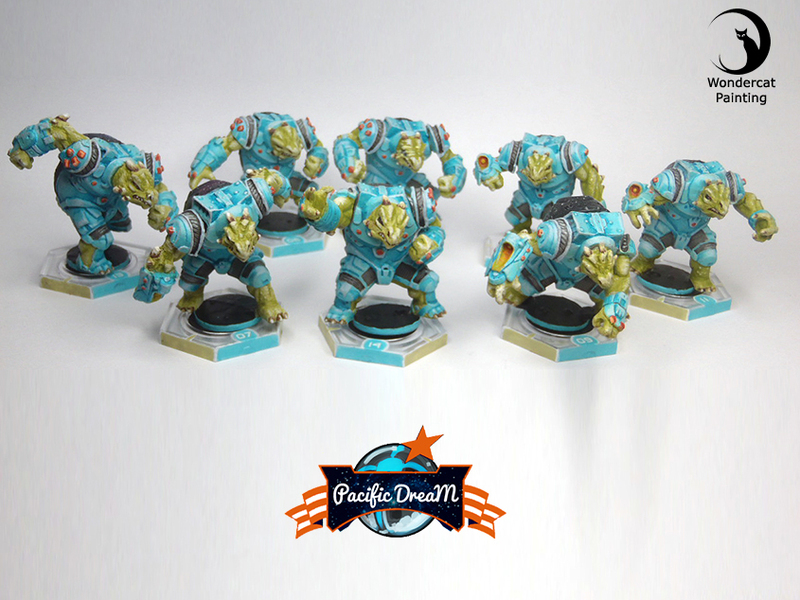 Those new players joined the rest of our Dreadball gallery.